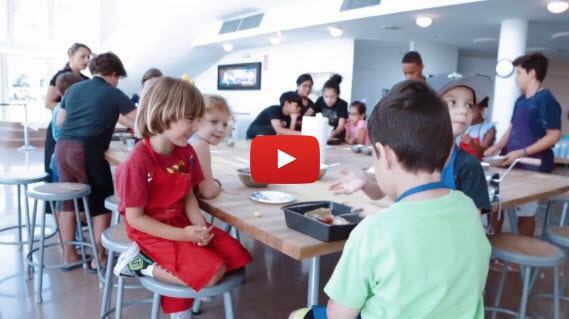 The Real Food Academy is dedicated to making your Cooking Birthday Party an Unforgettable One! And get started on a birthday party your child won't soon forget! Review the menu options for your party below. Choose the package that best fits your party goal. Select date and time, and pay the deposit. Fresh dough, rolling pins and flour. Your child will have a blast kneading the dough and preparing the traditional Pizza. Please choose two toppings (turkey or regular pepperoni, mushrooms, olives, grape tomatoes, basil, green peppers). This fun activity will allow your child to make a fruit pattern using wooden skewers and fresh fruit (strawberries, bananas and pineapple). A fondue melted chocolate will be poured over the skewers (optional). We’ll provide your favorite flavor of freshly made cupcakes with an assortment of delicious frosting and different color fondant for the best part ... the decorating! Choose from our Extended Menu. Fresh Made Fettuccine Pasta with Marinara sauce or Alfredo sauce. Fresh Garlic Rolls (made from scratch). Cookie dough made fresh using organic ingredients, and topped with dark chocolate chips & our homemade dark chocolate sauce. Make shortcakes from scratch using organic ingredients, and top with fresh, organic strawberries. Make your own waffles using organic ingredients, and layer with fresh, organic fruit. Using organic black beans instead of flour, make & bake your own delicious, healthy brownies. Professional chef aprons to keep! For children 10 years old and up, Homemade Raviolis with Ricotta and Parmesan cheese filling, served with your choice of Marinara or Alfredo sauce. Make your own Soft or Hard shell tacos with fresh ingredients. Plus, make your own salsa and guacamole. Fresh dough, Mexican blend cheese, fresh salsa and turkey meat or refried beans spread! Your child will be speaking Spanish afterwards! Homemade Meatballs with our delicious homemade sauce and make your own bread sticks. Make your own sushi (California Rolls and Tuna rolls) as well as Miso Soup and Adamame. Make your own lettuce wraps with organic chicken, and a side of fried rice. Make your own authentic Chinese dumplings or eggrolls and organic chicken fried rice. Mix organic whipping cream with dark chocolate to perfection for a succulent dessert. Using fresh, organic ingredients, mix nuts and fresh fruit for a healthy, no bake dessert. Don’t throw a birthday party that’s been thrown before! Pass on the pony rides and processed foods this year and throw a kids’ cooking birthday party that’s as fresh and fulfilling as the food you’ll prepare. Our location in Miami welcomes up to 140 little chefs (and their parents) for a fun and delicious cooking birthday experience. Optionally, our mobile service can drive to a party location of your choice (additional charges apply). From the very beginning, we invite the client to be as hands-on as they wish to be during the planning process. Whether you want to hammer out every detail or leave it all to our professional and experienced staff, we’re ready to accommodate you. 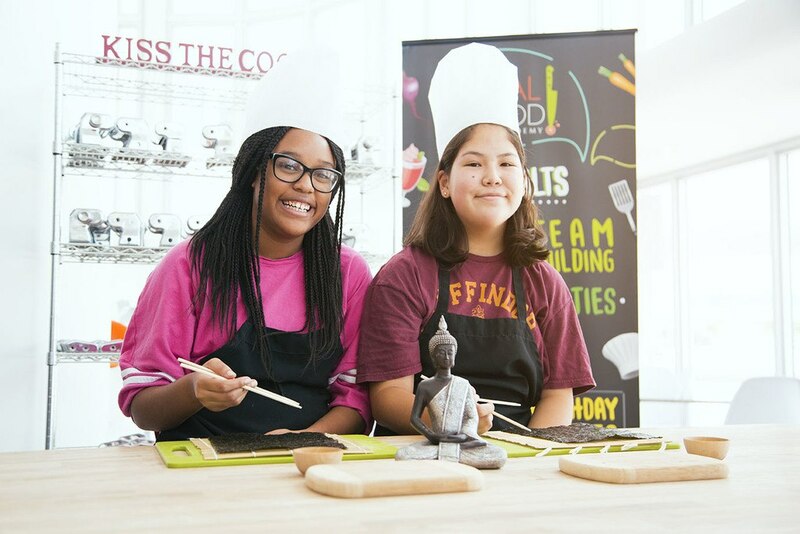 The menus for our cooking class birthday parties include meals that kids love to eat, but they’re made with all-natural ingredients and healthy substitutions. At the Real Food Academy, we live by our mantra: “We don’t change the dish, we change the ingredients!” Not only will your guests get to eat something delicious that they’ve prepared with their own two hands, but they’ll eat healthy, too. That's why we now offer both Savory and Sweet food platter's, certain to keep your palate and stomach pleasantly occupied while you're watching. You are more than welcome to decorate the space, bring a cake, hang a pinata, or supply other activities and extras for your child’s cooking class birthday party. Visit our FAQ section below for further information about what our kids’ birthday party place is able to accommodate and read through our party packages to find a celebration option that works for you. 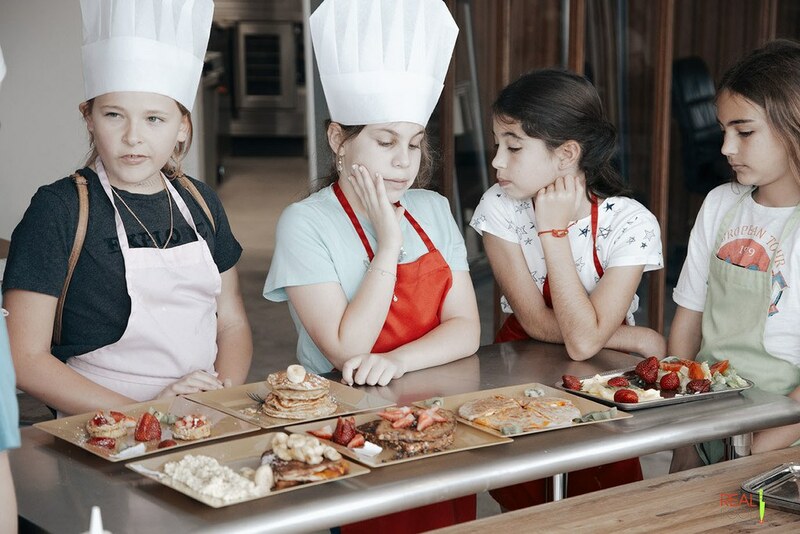 Give us a call (786) 395-0355 when you’re ready to start planning a kids’ cooking birthday party in Miami that’s guaranteed to deliver great times and great tastes! Guaranteed To Satisfy Any Dessert Lover! We've been doing this a while. As a result, we've answered almost every question you might have. Spend about 5 minutes reviewing the FAQ, and we promise, you'll understand our process, what's next, and how to get started. Best of all, leave the cleaning to us! Considering the price of birthday parties these days, our customers tell us our cooking birthday parties are a steal! Prices on based on the program, view above to see the price. And unlike most other birthday party venues in Miami that serve processed foods, we ONLY use fresh & healthy ingredients! Booking a cooking birthday party is easy using our 3 Step online booking system. ​Step 1: Select A Party Package from the choices below. Step 3: Pick a date & time from our calendar. To get started, simply select a package from the options below. Click the + symbol to reveal the answer to the question. Can I Bring Sparkles, Glitter, Stickers and Noise Makers? We love when our customers decorate our place. That said, you have no idea how difficult it is to clean these type of things up. As far as noise makers go……you will be glad you left them at home as well. So please do not bring any of those things. Where is The Real Food Academy Located? There is no maximum number of kids. Our new space is huge! Yes, we have lots of room. In fact, we offer additional services to make your stay at the party as much fun for you, as it is for the kids. Order from our Adult Party platters, bring wine, beer or other beverages (no hard alcohol please) and have a party within a party. Yes, but for Executive and Top Chef parties only. If a Piñata is important to you and you have ordered a Budding Chef party, you can add $100 for the extra time and we will gladly welcome your Piñata. Sorry no, but you are welcome to purchase beer and wine here. Read More Reviews From Everywhereincludes Google, Facebook, Yelp and website.